A favorite toy breaks . . . . A pet dies . . .
Parents divorce and you’re forced to move . . .
A best friend is hurt badly . . . . A grandparent dies . . .
Look through the eyes of a child again. When something unexpected, disappointing, or traumatic occurs, children feel a very real sense of loss. They may respond with fear or with anger. Most likely they are confused. They have questions they want answered. They need help from their parents or others who care to understand and process their grief. 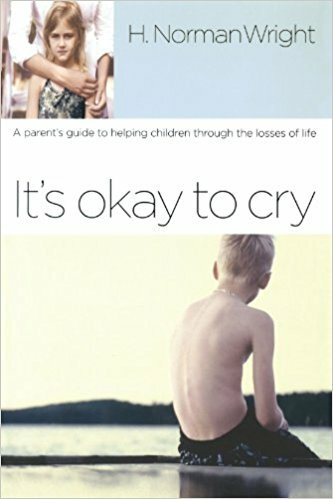 It’s Okay to Cry offers practical help for parents. It explains the symptoms of loss and unresolved grief so that parents can recognize them and walk alongside their children on the path to recovery. 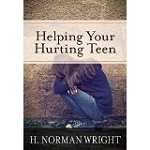 Well-known and respected author H. Norman Wright speaks to parents with sympathy and reassurance. He recognizes that most parents don’t know how to teach their children to process loss, because often they weren’t taught themselves. His sage advice will give you and your child the comfort and hope you seek.